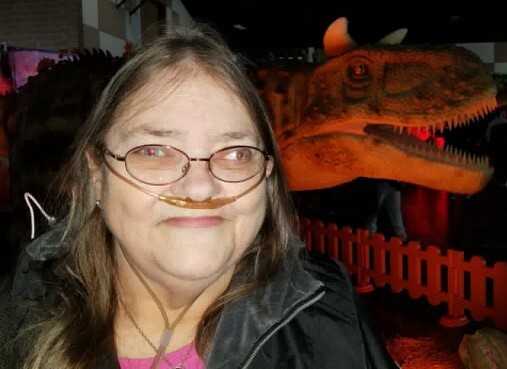 Sandra “Sandi” Leslie Pabst died at the age of 65 on March 18, 2019. Born on February 6, 1954 Sandi brought warmth and light to her parents, Charles and Eunice Joslyn, on an otherwise chilly day in Seattle. She grew to be a spirited woman who loved anything that turned her mental wheels and got her creative juices flowing. An avid watcher of gameshows and master of crosswords, she had a playful heart from the start. In 1979, she fell in love with another bold soul, David LeRoy “Butch” Pabst. Together they raised a beautiful family on hard work, a lively sense of self, and enduring love. Theirs was a fierce love, easily given, committed, and lifelong. Sandi was a mother to all those she encountered and the love she received back, from Butch, her children, and all those she befriended, helped her blossom. Butch, the “Great White Hunter”, and Sandi stayed together until he went on his last big adventure in 2013 at the age of 59. Perhaps she’s gone to see if he’d like to play some Bingo. Preceding her in death, and who we hope she has met again, are her loving husband David; her parents Charles and Eunice; her siblings Pamela Jean, Leonard Charles, Randal Ray, and Bruce Wayne; her granddaughter Sierra Rae; and her beloved pets Zebidiah and Brown Sugar. Those lucky to continue loving Sandi are her children Amy Belsky and Joe (Heather) Pabst; her beautiful sisters Kristi Kildare and Sydney Joslyn; and her loving grandchildren, nieces, nephews, and friends. Sandi will rejoin Butch at a private inurnment at Tahoma National Cemetery. Remember her by feeding your mind and spirit, planting a tree and watching it grow, and always flying free.